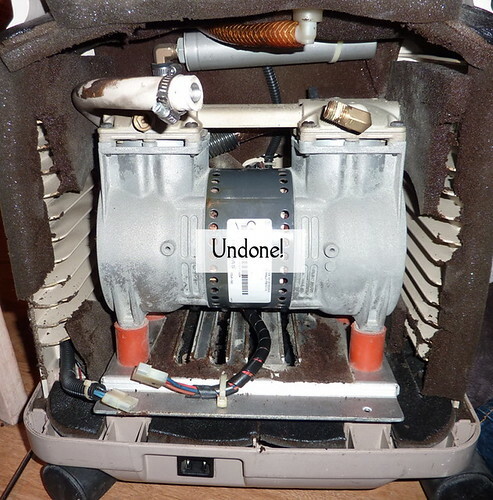 I had oxycon problems recently: seemed to overheat and cut out, so I peered about and could see that some of the sound insulation foam had fallen into the fan. I got instructions from Martin Tuffnell on how to get at the fan, because I didn’t want to have to ship it off and have to take days off to wait about for couriers! (I also redid the clear oxygen hose connection at the torch end, as recommended by Sue on Frit-Happens. Undid the jubilee clip, chopped a couple of cm off the end, reconnected. In case it had developed a small crack and leak there). I documented my oxycon-deconstruction in case it’ll be useful for anyone else. 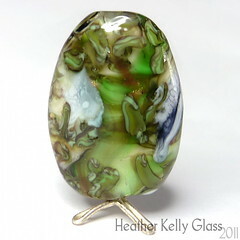 This is a 5lpm DeVilbiss from Tuffnell Glass. We shall begin after having taken off the front and back parts of the case (there are screws in the handle in the top, on either side, and I think on the bottom as well – didn’t note that part!). You just need a flathead screwdriver for those. Then the case front and back lift out. This is what the interior looked like, viewing from the back. The foam is falling to bits a tad. 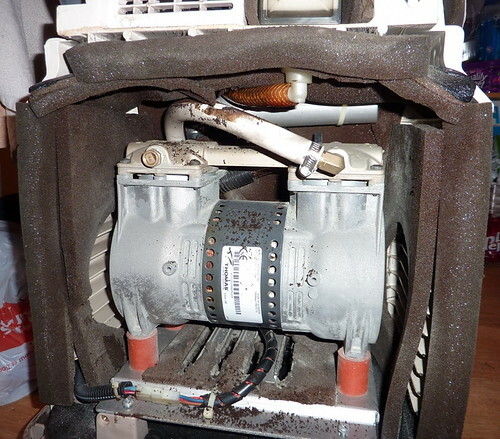 The thing in the middle is the compressor – the fan is underneath it. You need a tool to undo these. 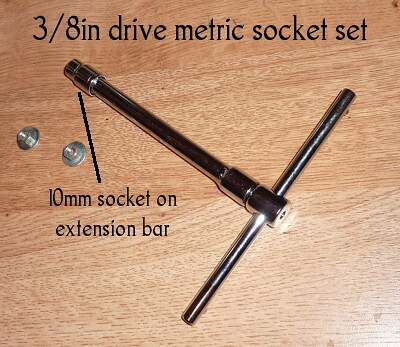 I got a 3/8in drive metric socket set (from Argos, as it was open when I needed them and the set was about £11.99 on sale). You want the 10mm socket – the set comes with a bunch of different sized sockets, a couple of extender arms, the T handle and a ratcheting handle too, so now I can undo these in all directions! The pieces click together, so here I’ve used the 10mm socket, the longer extension arm and the T handle. 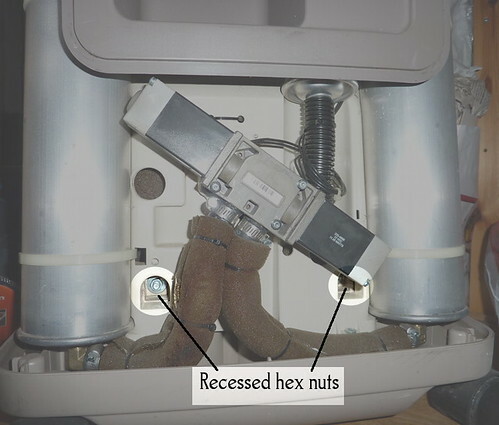 Makes undoing and redoing the hex nuts easy peasy. I didn’t know which size I needed, which was another reason to get a full set – you can get them cheaper from Amazon, and also look for tap back nut spanners or box wrenches as they’re the same kind of thing. You basically need a hexagonal end on a long body. Next, look at the back of the oxycon. There are a few things to undo here. 1. A jubilee clip attaching a hose to the compressor. 2. Two screws holding down the steel plate the compressor has as a base. 3. The compressor’s wiring connector. 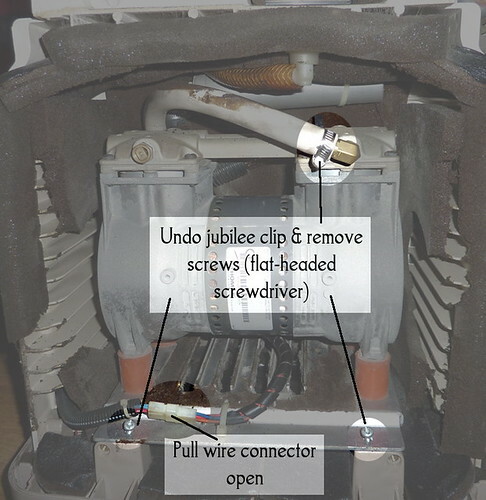 A flathead screwdriver will do for the jubilee clip and the screws, and the wiring connector just pulls apart: one half is slotted into the other. 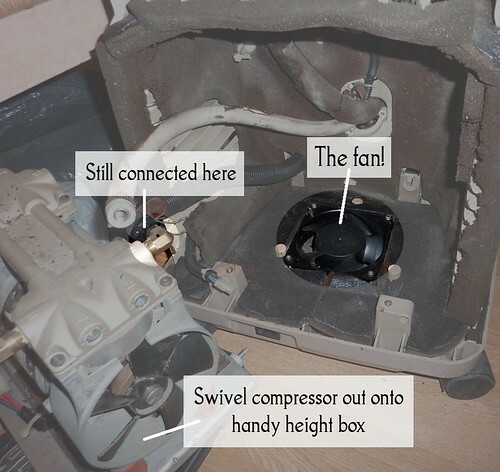 The compressor’s still connected to a hose at the back – I didn’t know how to undo that one so just left it connected. There’s enough give to lift and swivel the compressor out and put it on something level with the oxycon (I used the toolbox the socket set came in). Now it’s out of the way and you can see the fan! 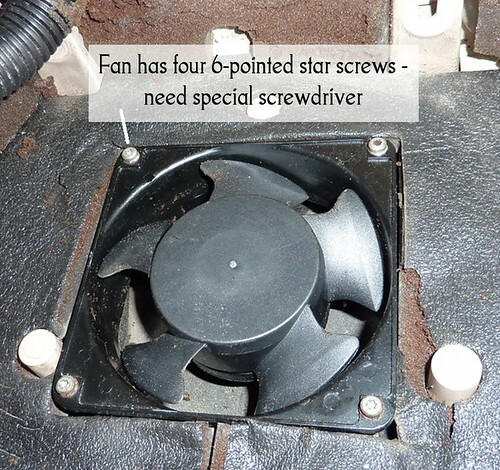 The fan is screwed in with 6-pointed star screws. I don’t have a screwdriver that can do these, so didn’t actually take it out. I could however pull the pieces of foam that had fallen in it out through the gaps with a pair of long needlenose pliers. (I think the stars may be 5mm point to point. I measured it but can’t remember if I wrote it down). I’d taken out some of the more falling-to-pieces foam from inside the case as I went – it’s for soundproofing rather than anything more important. Then I reattached everything, leaving the case back off temporarily so I could run it for a minute and be able to see that the fan was going. It was, so I put the case back on too. Like I said, it may not have been the fan that was the problem in this case, but it did have foam in it and the oxycon isn’t overheating anymore. And if I ever have to replace the fan, I know how to now! 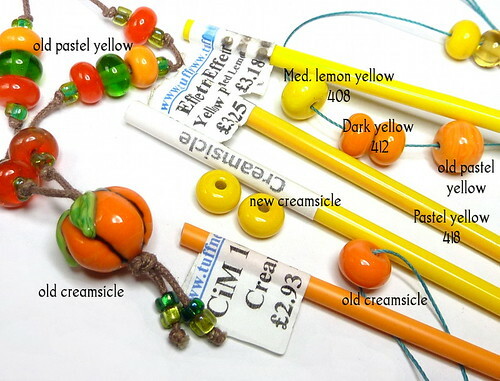 I had a rod of CiM Creamsicle in my original starter pack – just a little skinny rod, and I’ve used over half of it and have been hoarding the rest until I get more, because it was a lovely creamy orange. I made an order in Martin’s 20% off CiM sale – it was one of the needed rather than wanted choices, as I’m actually out of orange entirely now! I have plenty of yellows. 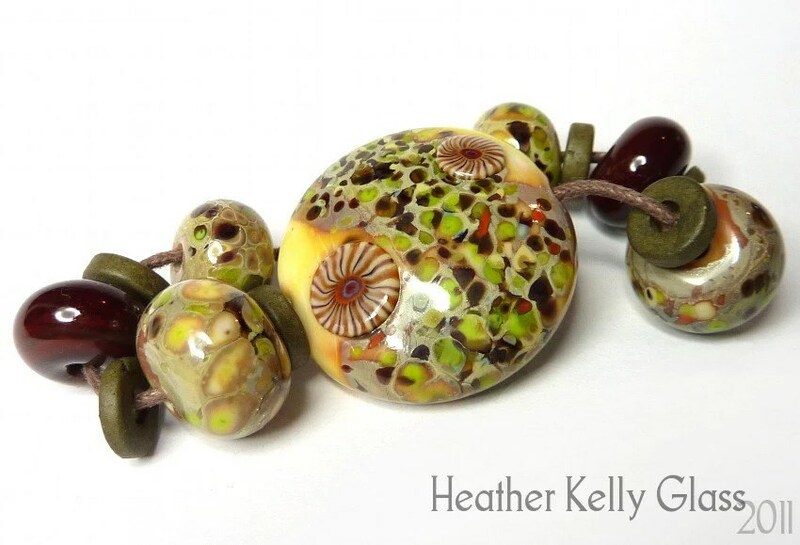 I was a bit dubious about the rod colour when it arrived, but thought that maybe it would strike darker when melted. Noooooo! It came out yellow! 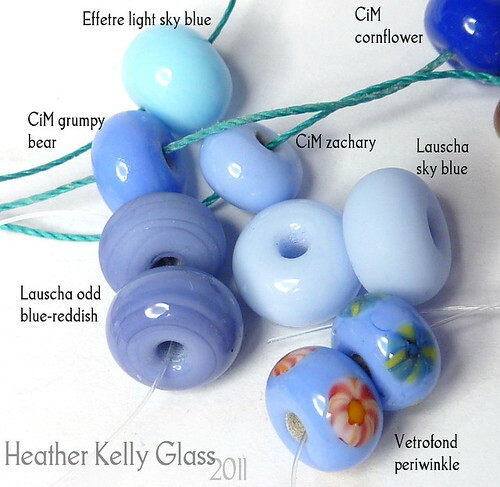 The colour examples on CiM’s website don’t show this yet (and I did double check that I hadn’t missed anything). 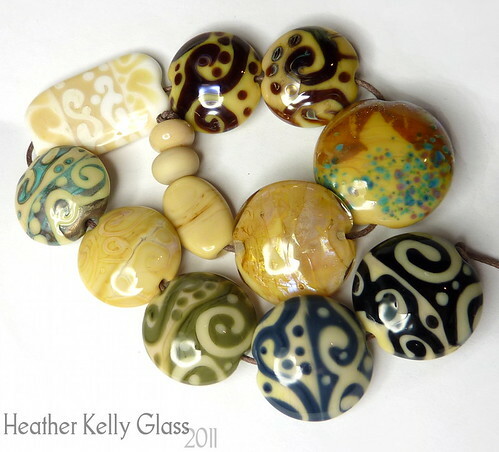 Also shown on this picture is the old pastel yellow, which was lighter than creamsicle but a similar lovely warm colour. Again, I had one rod, got more, and the new batch was yellower. I still like pastel yellow – it’s my default yellow because it’s still a bit warmer than some of the others, but it isn’t mango orange anymore. 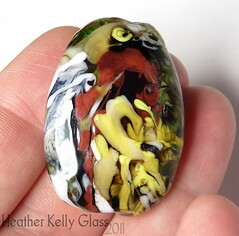 With that one, I was thinking it was just like coral and would vary batch to batch. With both of them changing in the same way, I’m wondering if it had something to do with the ingredients? We expect consistency from CiM so it’s unusual when something like this happens and they don’t make a note about it. ETA: Kathy from CiM has sorted this out for me; it appears this batch should really have been labelled as a Unique. See my post CiM reds and creamsicle update! These are something I’ve been working on. 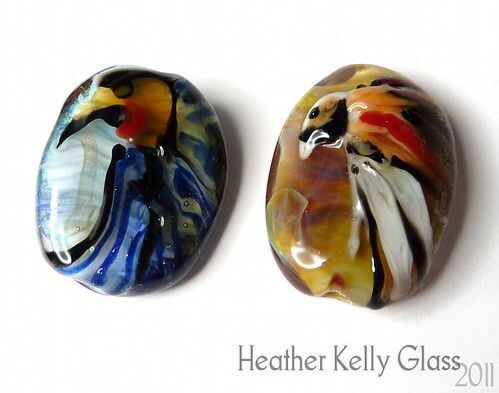 I’ve been wanting to have a go at pictorial/painterly beads for a while, and I started with birds of paradise because they have such beautiful plumage (and you can go off and make your own fantastical ones with ease once you’ve got started). 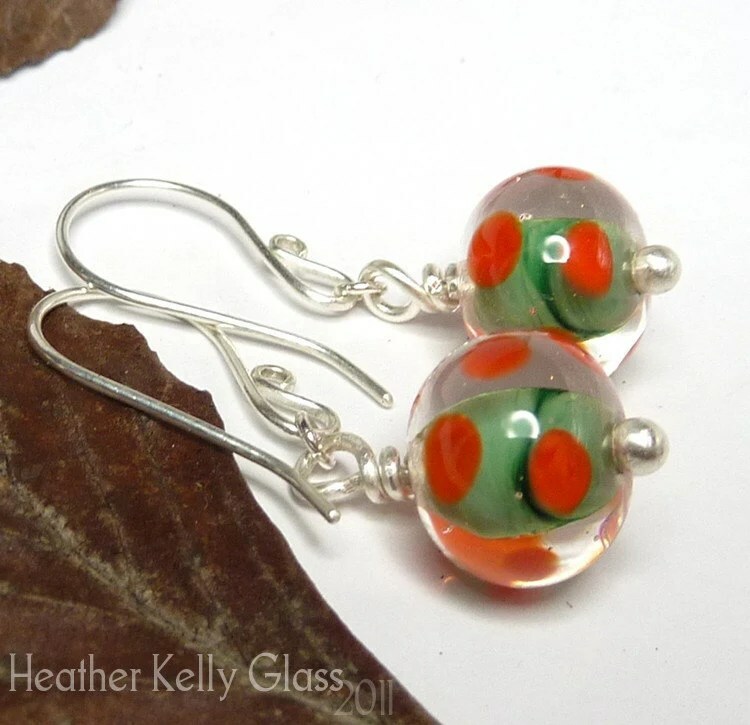 Here’s what I’ve been up to so far: the first pair I did off the top of my head. The blue one was the second and I wasn’t happy with the shape at all! The head came out much too big. Version 3 was better. I do like the feathery fuzzing out I got at the side by superheating CiM hades. 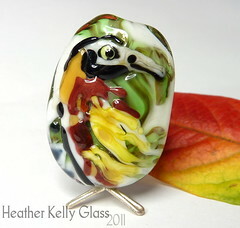 He’s perhaps a little vulture-shaped, though! After that I went and found reference. I have a large collection of bird of paradise pictures now, arranged by species. 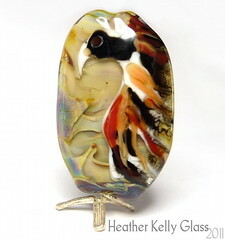 I concentrated on Lesser Birds of Paradise to begin with, so the colours are reddish-brown, tan, yellow and white. 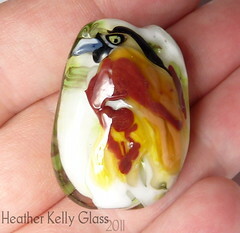 Version 4 (above) I got a bit over-enthusiastic with the feathers and the bird takes up rather a lot of space on the bead! I started doing green viney backgrounds too. This one’s fairly painterly in style. Version 5 above is simplified and a bit sketchier. I rather like this one! Version 6: looking back over his shoulder, a handsome fella! Fairly raised from the surface, this one. I want to start making the background darker green for this type. 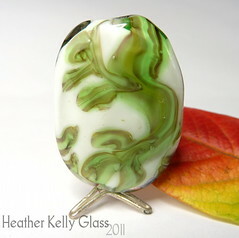 I’m going to make more, including different species. 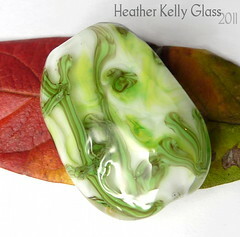 Some of them have lovely patches of iridescent feathers: I’ll be breaking out the silver glass for those!